*Package may fit vehicles other than those listed. If your vehicle is lifted, please verify proper wheel sizes, backspacings and tire sizes recommended by your lift kit manufacturer. Wheel and tire packages are mounted at time of order and after vehicle and fitment have been verified. No returns on wheel and tire packages. 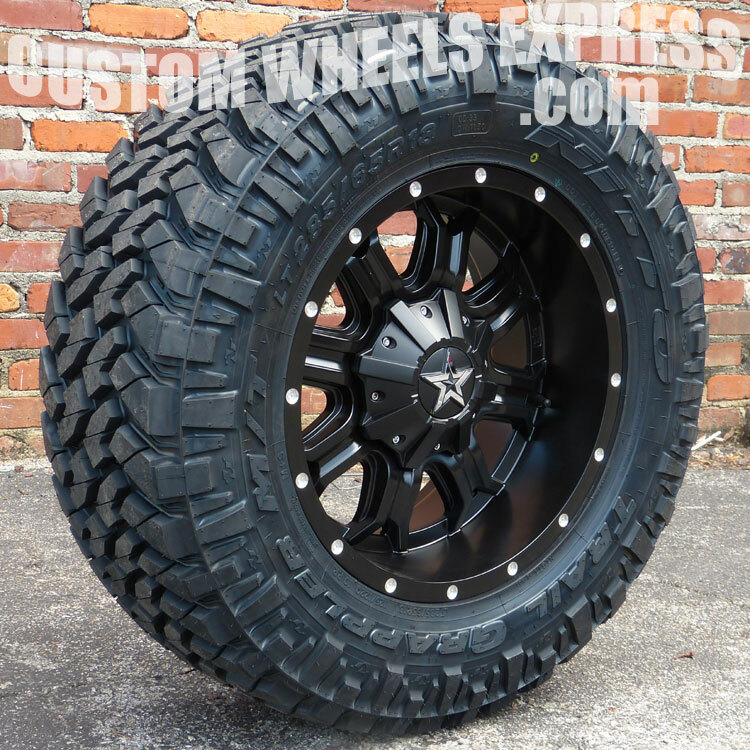 Free shipping on wheel and tire packages to the US48 states. Most packages ship on a pallet via LTL freight. Typical lead time to mount, balance and ship wheel and tire package is 3-5 business days but may vary.